Don’t get me wrong: I’m all for the brave Parkland students who have done so much in the past few weeks to push for change. I’m as distressed as my friends when I hear conservative politicians belittling their activism. But whatever our political views on student activism, we’re likely to believe something about schools that just isn’t true. In spite of what all of us might think if we just read the papers, America’s schools are safe and getting safer. Why don’t we hear more about it? Here’s what we know: The National Center for Education released its new report today about school safety. By any measure, schools today are much safer places than they’ve been since 1992. Crime reports from schools are down, security measures are improved, staffs are better trained in safety measures, and students report less crime. Why won’t we hear more culture-war blather about this news? Here’s my guess: Whether you’re a conservative, a progressive, or other, you want people to think that schools are dangerous places. Let’s look at the conservative side first. 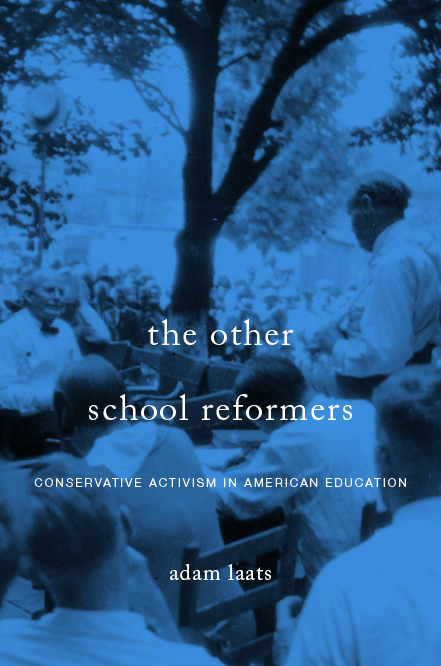 Throughout the twentieth century, as I argued in my book about the history of educational conservatism, conservatives told one another that schools—especially public schools—had gone to the dogs. For example, as Reagan’s second Ed Secretary memorably lamented, by any “index of cultural indicators,” schools had failed catastrophically. grown into jungles where, of no surprise to Christian educators, the old Satanic nature ‘as a roaring lion, walketh about, seeking whom he may devour’ (I Peter 5:8). Students do well to stay alive, much less learn. . .
are subject to daily abuse and humiliation. . . . [from] a decades-long pattern of resistance to change and the creation of a hostile environment for children of color. Conservatives don’t agree with progressives about much. When it comes to school safety, however, both sides agree that public schools are dangerous and getting worse. Both sides, it seems, won’t allow themselves to be troubled by inconvenient truths. Posted in In the News, school reform, Schools in Black and White, What is school?